Peanuts and Sesame Seeds Kachariyu can have a place in your healthy eating plan and winter essential menus. 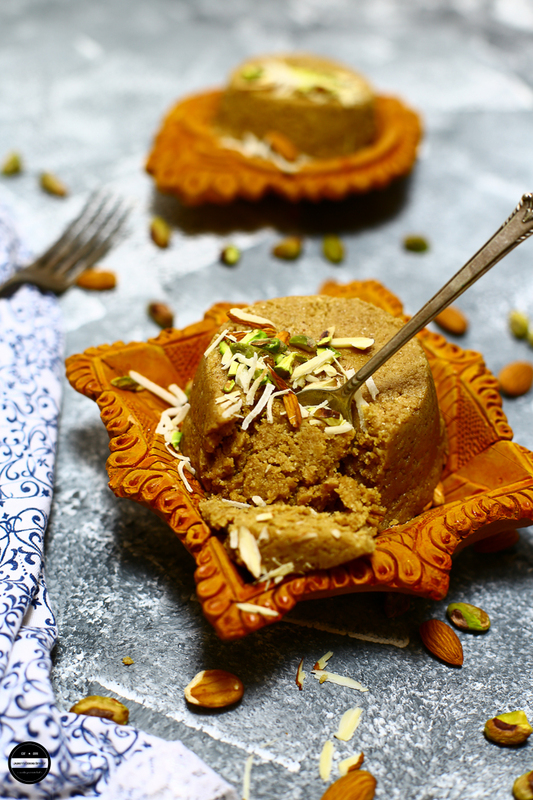 This wholesome, refined sugar-free and nutritious Gujarati winter dish is delectable and the simplest dish you can prepare to fight those winter blues. 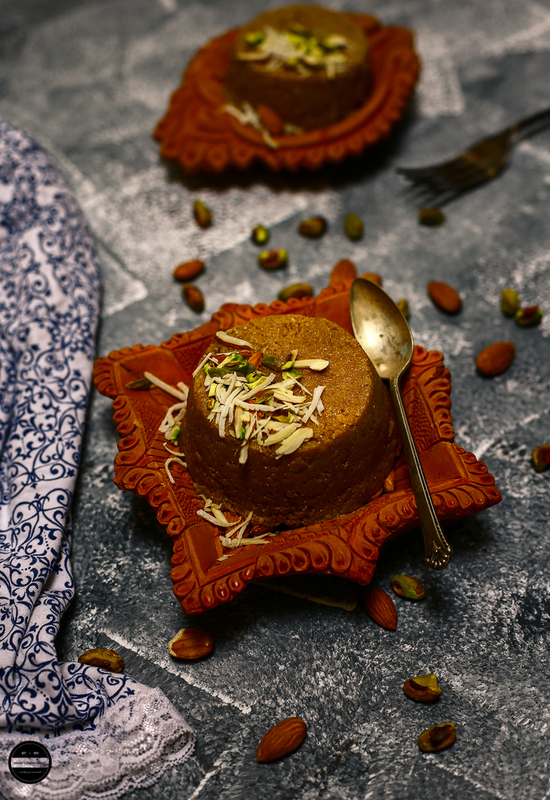 This Kachariyu is prepared with roasted peanuts, sesame seeds, Jaggery, some winter spices and nuts. Generally, traditional Kachariyu prepared with ONLY sesame seeds and crushed along with Jaggery and spices but this time there is a little twist. Oh yes, my mind is always thinking of alternatives. At least, this twist made this recipe tastier in my opinion! Read my traditional Sesame (Til-Tal) Kachariyu recipe here. Winter is the best time to pamper and nourish your body with wholesome, good fats and energy boosting food that provide lots of energy to keep the body warm from inside and to build up a good immune system to fight many winters downfalls like cold, coughs and joint pains. Peanuts and Sesame seeds are perfect to use during colder days. While peanuts have plenty of vitamin B-3 which promotes blood flow and kick-starts your metabolism, sesame seeds naturally lower blood pressure and are a good source of vitamins and minerals. 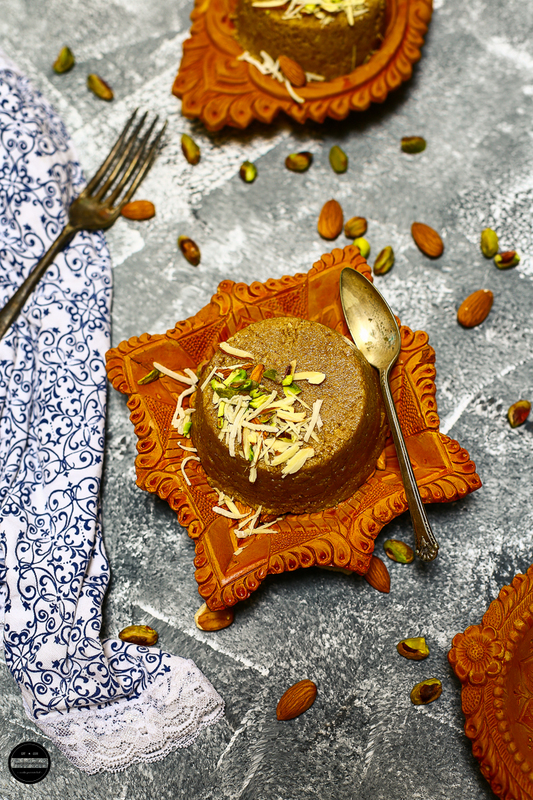 More Sesame Recipe for winter - Rose Pistachio Sesame Tahini Halwa | Rose Pistachio Coconut Till Gajak | Sesame and Jaggery Bites . Check my friend Sapana's Sesame Brittle-Til Chikki recipe. As soon as the winter arrives in my part of the world, I dig out those traditional recipes to prepare a couple of types of winter warmer dishes which are healthy, beneficial and delicious at the same time, for my kids and family. So, this time I prepared Peanuts and Sesame Kachariyu, with healthy fats and plenty of protein that is a smart snack this time of the year which will also combat freezing temperatures. This Kachariyu recipe is very easy to prepare, you don't require any ghee or dairy butter and can be done in a few ticks. Every morning a couple of tablespoons of Kachariyu do wonders to the body. 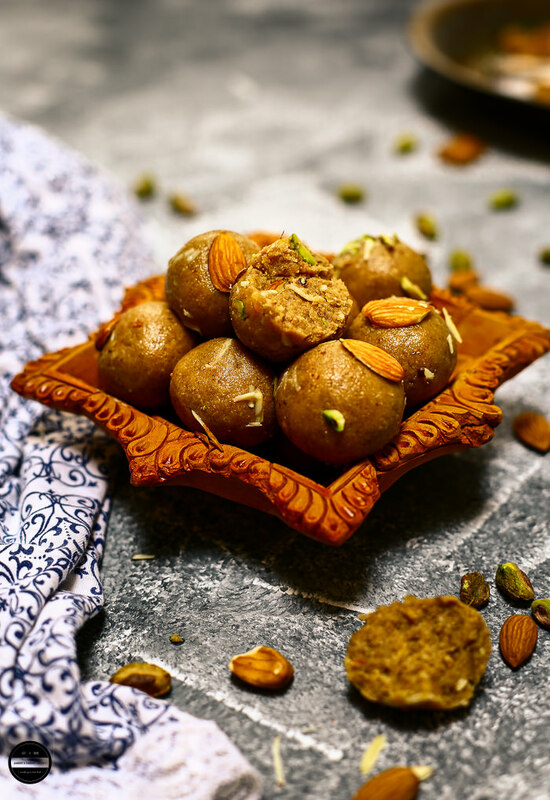 Don't go binge eating as this item is not guilt free as there are jaggery and dates in this recipe which can spike your sugar levels. Peanut and sesame Kachariyu is a homemade nutritious winter warmer recipe can be made very easily. Dry roast peanuts and sesame seeds separately.Let it cool and remove peanuts skin.In a food processor or grinder add almonds and peanuts, grind until you see oil oozing out of the almonds and peanuts.Remove it from the grinder bowl and add sesame seeds and melon seeds, grind the sesame seeds until you see oil coming out of the sesame seeds.Now add jaggery, dates, ginger powder, desiccated coconut, poppy seeds and peanuts mixture.Now grind everything so well in the grinder.Remove it from the grinder bowl and make ladoo or leave it as it is.Garnish it with the almond and pistachio slivers if you like.Enjoy this winter delicacy in the morning. These look delectable, thanks for sharing :) It is often true that the traditional recipes are the healthiest when it comes to using superfoods. Our ancestors knew a lot!